Enable your multi-type-small-lot production with the CF2. 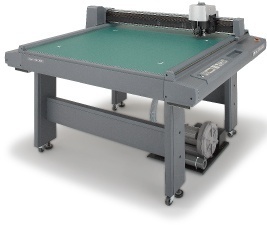 The CF2 Series flat bed cutting plotter capable of cutting various kinds of media with high accuracy without dies. Out of a total of 30 kinds of line-up, you can choose the one best suited for your needs. By cutting the printed media, you may produce high value-added products on demand required. Begin multi-type small-lot production with unprecedented high quality. 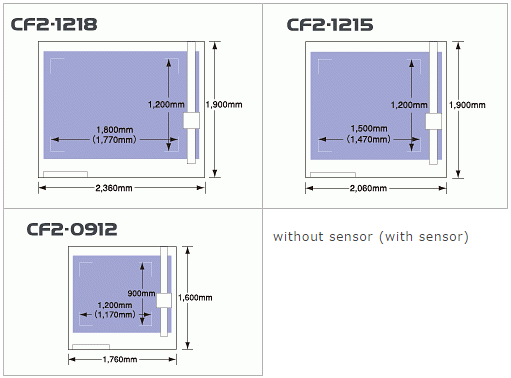 According to customer's application, a custom-ordered CF2 series can be manufactured. Please consult. * Please install this unit confirming that there is a space of 1,000 mm or more around the unit.